These presentation slides 41957 are complete compatible with Google Slides. Simple download PPTX and open the template in Google Slides. This modern cool template is a perfect solution for all kinds of presentations dedicated to growth, progress, finance, results, strategies, rates, cooperation and so on. 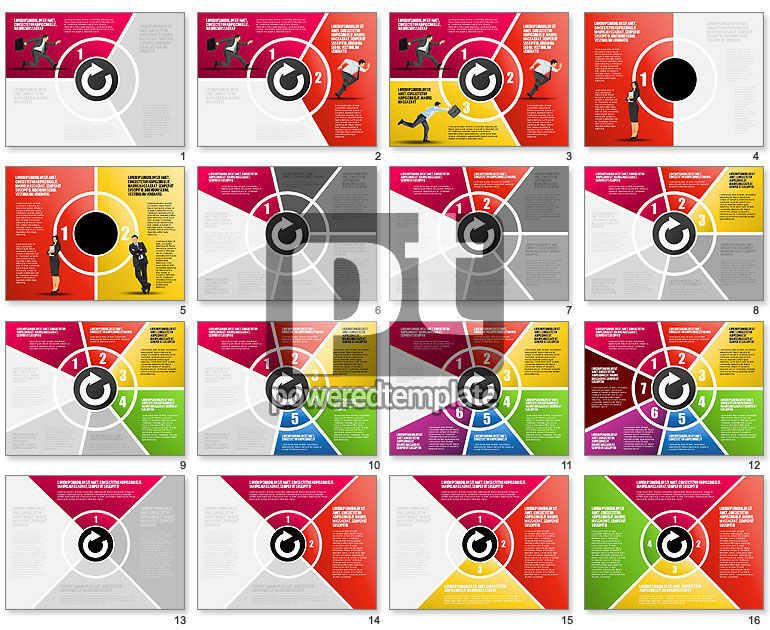 There are a few color palettes, different colored areas and running businessmen. If your presentation is related to sales, workflow, distribution, business races or making decisions, this theme is exactly what you need.